This is an exciting time to be a Wildcat as we continue to work toward becoming one of the nation's Top 50 public research universities by 2025. K-Staters have a strong commitment to excellence, and this is evident in the ongoing efforts that are propelling our great university forward. Kansas State's outstanding faculty and staff continue to gain national and international acclaim for their teaching, research, scholarly activities and service to students. Furthermore, our faculty, staff and extension partners actively embrace our land-grant mission and the vital relationships we have with the communities that surround our campuses. 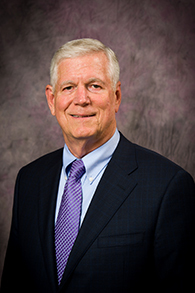 I am honored to continue to serve this great university, and I am committed to collaboratively moving Kansas State forward with the help of the university community. We have a lot to be proud of and maybe even more to be excited about, and I hope to continue that positive momentum as we move forward. We live by the purple rule: Family comes first. For K-Staters, that means a firmly held dedication to fostering an inclusive, welcoming atmosphere in which everyone feels supported and empowered to take intellectual risks. Learn more. Realizing the vision of K-State 2025 requires an institutional commitment to planning and holding ourselves accountable at all levels. Learn more about this monumental effort.